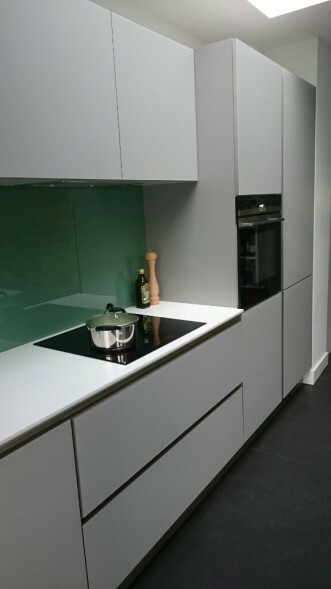 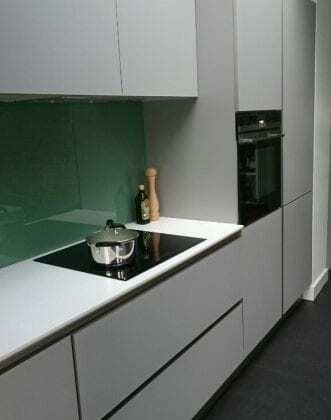 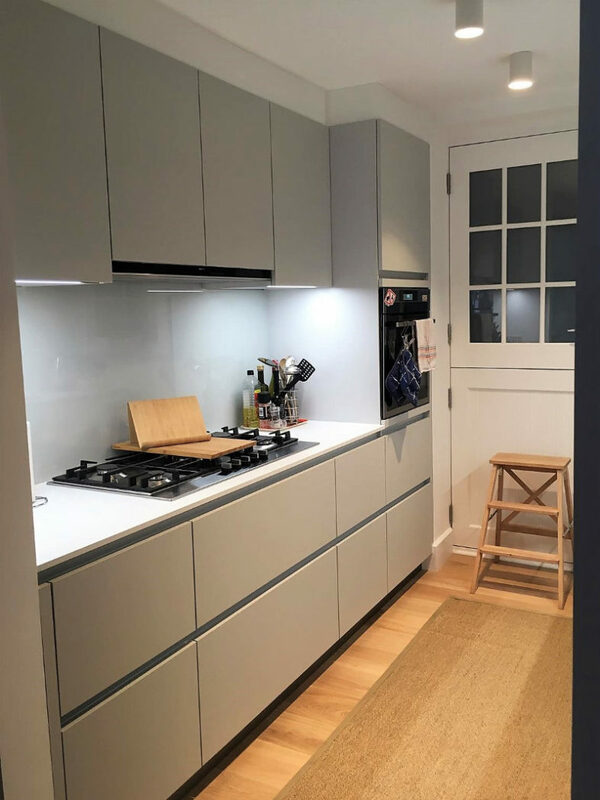 From our Next125 range Stone grey in glass matt finish for units. 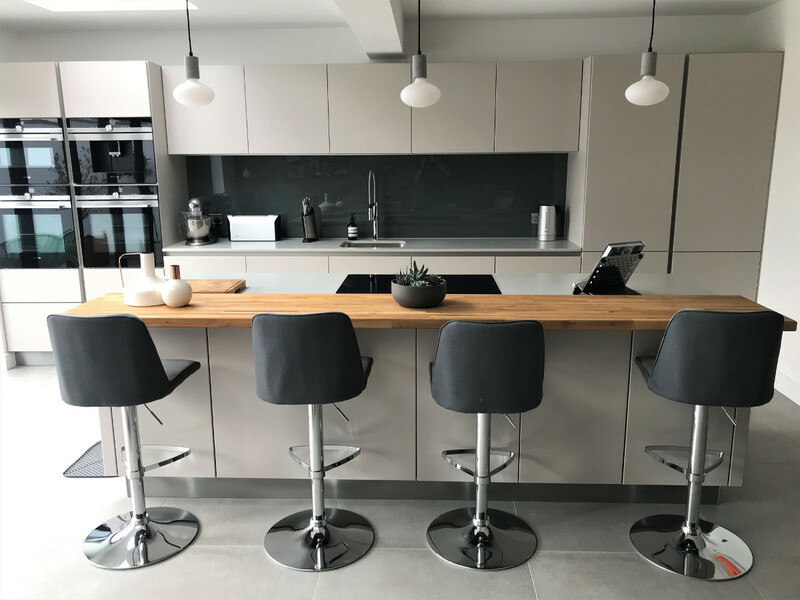 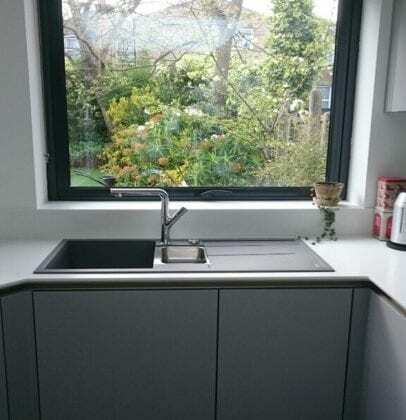 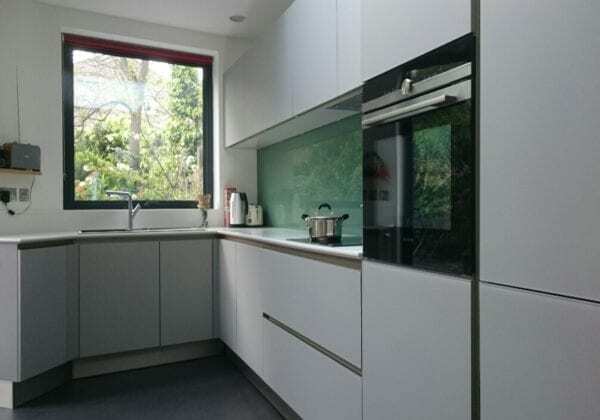 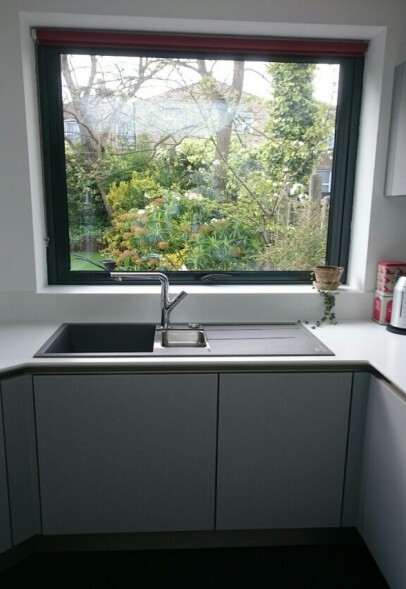 The worktops are made from corian with the profile in ‘bird-beak’ edging plus up-stand in corian which also covers the window sill. 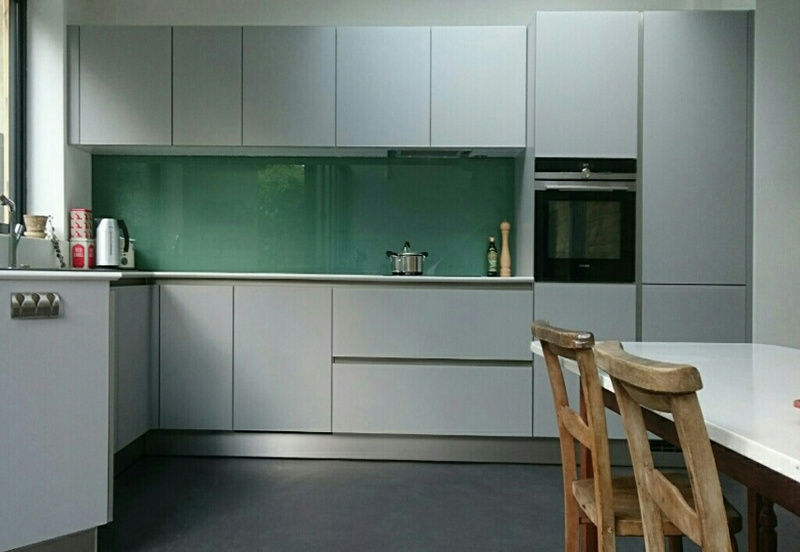 The glass is 25 mm toughened, safety glass, coloured on the rear.